Home to breathtaking natural beauty, striking street art and killer sunsets night after night, Cape Town is one of the most Instagrammable cities in the world – and you can rest assured, there is no absolutely no filter needed (although what harm can a little Clarendon do?). But we thought instead of spending an hour (joking, we totally don’t spend an hour…) choosing the perfect filter, we’d put together the ultimate day itinerary for you to explore the city to get those grid shots. Hands up who wants to start their day with panoramic views of Lion’s Head, Camps Bay and the Mother City? Of course you do. Set your alarm clock early, pull yourself out of bed and head up to Kloof Corner on an easy (we promise..) 30 minute hike to see the sunrise over Cape Town – you won’t regret it. After getting those #sunriseshots, you will need to line your stomach (and put your phone on charge) before heading out on the ultimate ‘Instagram Day Trip’ so come back to Atlantic Point and make the most of our free breakfast. Once you’re full up on pancakes, it’s time to pack your bag for the day and set off on a stroll to Bo-Kaap. 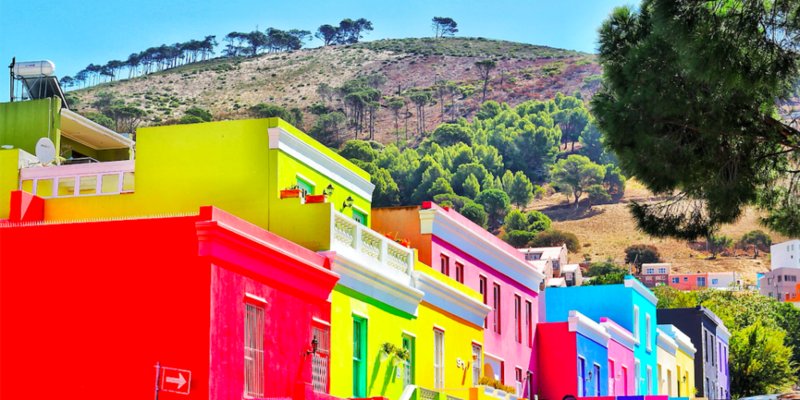 Famous for its multicoloured houses, cobbled streets and rich Cape Malay history, Bo-Kaap is nothing like any neighbourhood you will have seen before and is one of the most popular places in the city to take photos. Just be sure to ask permission from the friendly local residents before striking a pose though! On your way back into the city, don’t miss this striking street art by Sonny Sundancer. You may have already caught a glimpse of this vibrant piece if you’ve driven past the area before but it’s certainly worth taking a photo up close too. 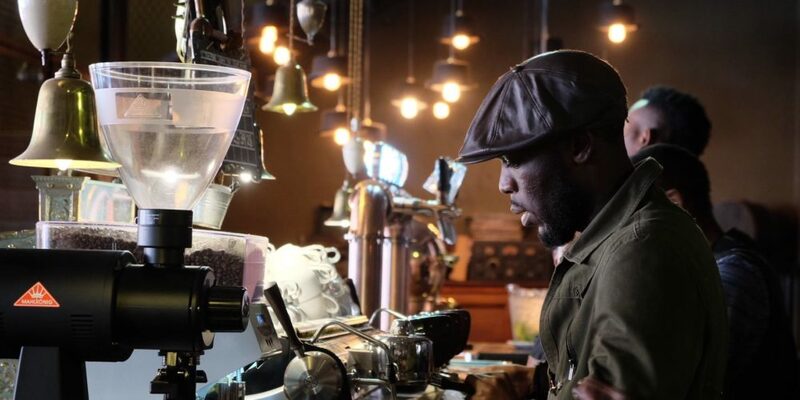 Snapping away is thirsty work – especially after such an early start – so why not treat yourself by popping into the world’s best coffee shop on nearby Buitenkant Street. Truth’s ‘steampunk’ interiors combined with quality coffee (and creative latte art) make this an Instagram hotspot. It’s a must-visit for the caffeine addicts amongst you and great for a mid-morning pick me up. Coffee break over, it’s time to take the train from the city to Muizenberg. Make sure to bag yourself a window seat because you definitely won’t want to miss out on the stunning coastal views along the way. 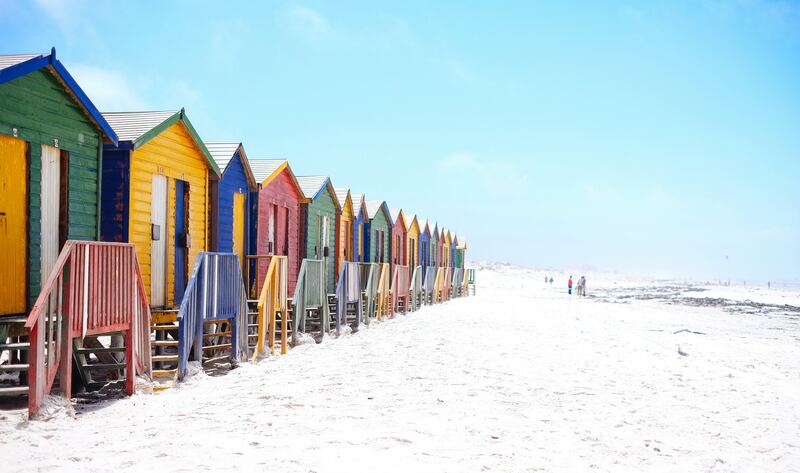 Once you reach Muizenberg, take a walk along the beach until you reach the famous colourful beach huts. 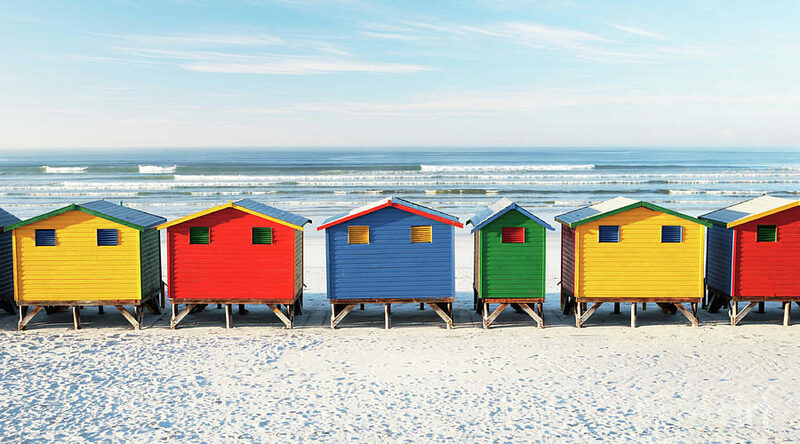 Fun, vibrant and oh-so photogenic, these huts are an Instagrammer’s dream and provide the perfect backdrop for that #beachdays shot. Once you’ve watched the surfers do their thing and taken approximately 250 beach hut photos, hop back on the train and head to Sea Point for a mid-afternoon bike ride. With the breeze in your hair and sun on your face, take in the sights of Sea Point and watch the world go – from an outdoor gym to mini-golf courses to an Olympic sized public swimming pool, this part of the city is always a hive of activity. Now, it’s decision time – are you in the mood to venture on another hike up Lion’s Head for sunset or are some beach sundowners at Camps Bay more up your street? If one hike is enough for you in the space of 24 hours, jump in an Uber and head along the coastline to Clifton 2nd beach. This is one of the most beautiful beaches in Cape Town and is full of Insta-worthy photo ops. Before the sun sets on another day, take the scenic walk around to Camps Bay, the most luxurious area in the city. We recommend heading to one of the amazing salt water tidal pools which – with incredible views of Table Mountain and the Twelve Apostles – offer out of this world sunset views. What better way to round off the jam-packed day than with few sundowners at local’s favourite bar, Cafe Caprice. Situated directly across from the beach, it’s the perfect spot got sipping on cocktails and is particularly popular on a Sunday evening. Your phone may be jam-packed with photos but we aren’t done just yet – it’s time to eat! Situated on the way back towards our hostel is perhaps Sea Point’s most chic restaurant, Three Wise Monkeys. Offering a range of achingly hip ramen dishes, this place will have your followers salivating (and quite possibly booking their own flight to Cape Town). 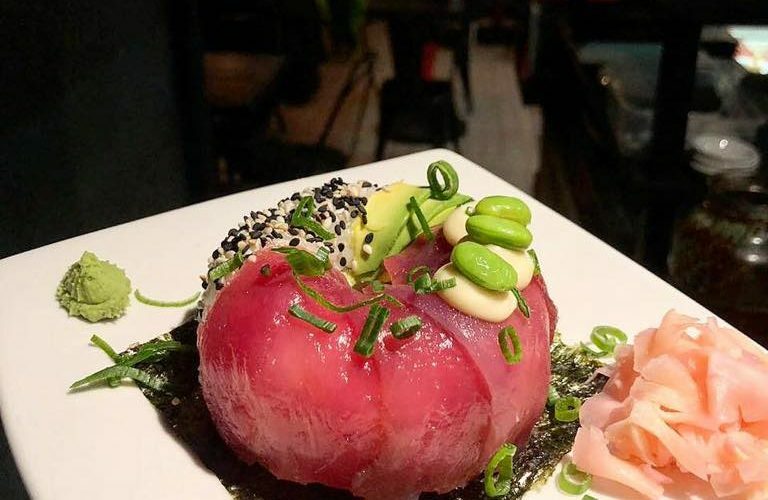 Don’t miss their VERY photogenic ‘sushi donuts’ – these recent additions to the menu have taken off on the ‘gram and taste as good as they look. If you aren’t ready to call it a day just yet, get your gladrags on! After making the most of our happy hour and snapping some selfies with new found friends, head out to one of Cape Town’s best kept secrets – The Gin Bar. 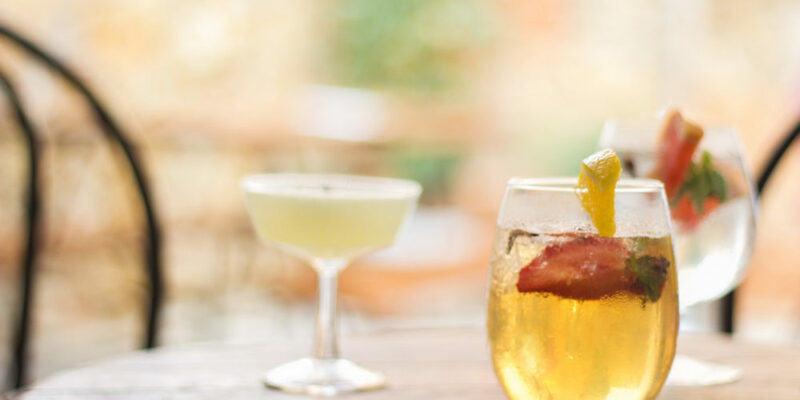 Nestled in a Mediterranean-style courtyard which can only be accessed through a chocolate cafe, this spot offers the most Instagrammable luxury gins at great prices and always guarantees a good atmosphere. Where the night takes you beyond this bar is entirely your business… but we can bet the highlights of the night will end up on your InstaStories. So, there we have it – a fun ‘Instagrammable’ day which will leave your phone full to the brim of amazing photos and, more importantly, will have given you some unforgettable experiences. In such a picture perfect city, there’s no wonder we are so snap happy! See you on the gram? Looking for a place to stay in Cape Town? Book directly with us with the code HAPPYDAYS and receive 20% discount!